I'm an October baby, so pumpkins will forever be a favorite of mine. And yes, I look forward to Starbuck's annual unveiling of its Pumpkin Spice Latte. I may like the scent more than the taste though, and for those who feel the same (or are fanatics) I thought I'd share these TWO diys today. 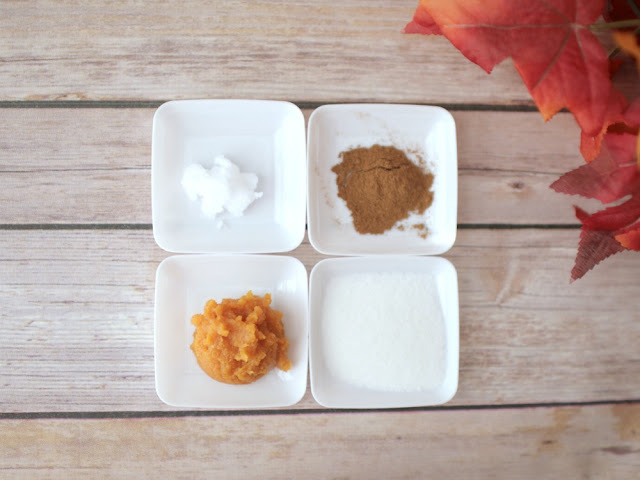 One of my post popular diys on here is my Pumpkin Spice Latte Sugar Scrub, so I updated it and added in a bonus of my Pumpkin Spice Latte Body Butter. Mix ingredients. Store in an air-tight container. Stir before using. Since this uses pumpkin puree, I keep it in the fridge for about a week. For those wanting a longer-lasting product, I suggest pumpkin seed oil (I would forgo the coconut oil but add a big drop of vitamin E instead) or ground pumpkin seeds. You can easily get 3-6 months from those. For presentation, I put the PSL Sugar Scrub in the Starbucks cup and then added the PSL Body Butter on top. If I am giving this as a gift, I really like using plastic dome lids to keep the scrub and the body butter separate. Using a hand mixer, mix the coconut oil until it becomes body butter consistency. I used a piping bag to add it to the top of my sugar scrub. 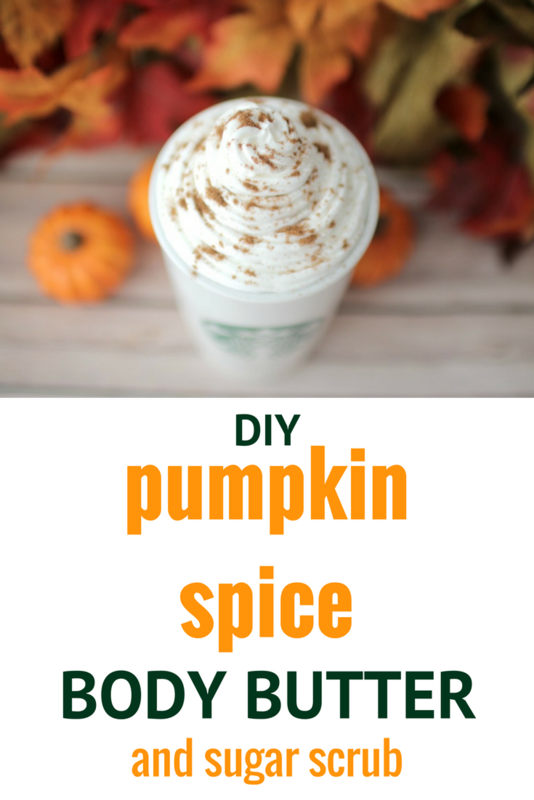 Sprinkle with nutmeg or pumpkin spice. Sometimes I will add a drop of vanilla to the coconut oil after melting. Coconut oil is VERY oily, so sometimes I'll use shea butter instead. Remember, you don't have to put the two diys together. You can make either or both, like I did! 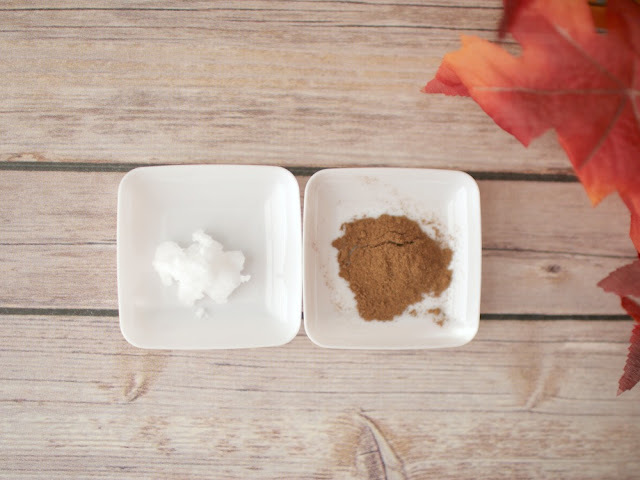 Also, be aware of skin sensitivities to cinnamon. Doesn't it look like the real thing? Busy weekend of football games, a visit to the Hello Kitty Cafe food truck, and a friend's birthday party. It flew by! This is the cutest DIY! I bet it smells amazing! I'm definitely making these for gifts! This sounds so good (and delicious!) I have all the ingredients so I better try it out! I adore your presentation of this! It would be such a cute little treat for a coffee lover especially. :) October is a great month indeed! well that looks good enough to eat! yum. i bet this smells heavenly. adding to my list! bc well this october baby loves her pumpkin spice too! I love making homemade scrubs and this is so cute! Can't wait to try it! I bet these smell amazing! I am not sure I could make them beucae I would want to eat them. I saw the Hello Kitty Truck when it was here in Boston. I didn't buy anything because the line was insane but it was cute to see. 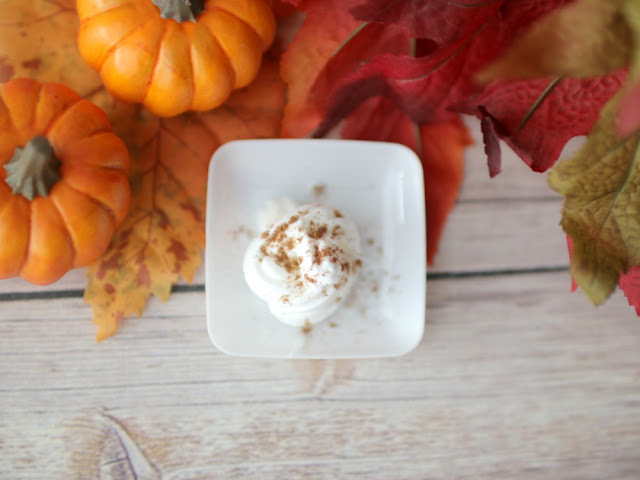 Ooh how perfect for fall and i love your presentation! That has to be the cutest DIY, Elle! And yes, it would make a great gift! This is AMAZING! How awesome and this was clearly a ton of work! You did an amazing job! 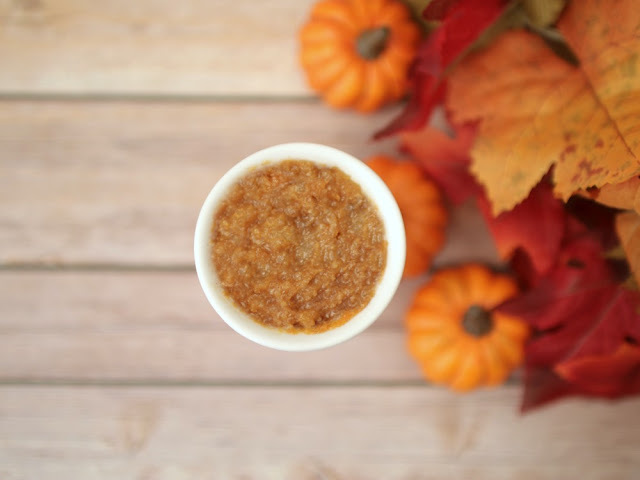 This scrub is perfect for the season. Oh this is so stinking cute! I bet it smells amazing and I love the presentation! This sounds so fun for a fall present to surprise people with! I saw lots of pictures of the Hello Kitty Cafe from my Atlanta friends this weekend and I wish I could have gone. So fun!!! That GA game. I have zero words. Ugh! I love this! Its so cute and a GREAT gift idea! I'm telling you girl, you need to sell this stuff on etsy! I'd buy it! I love the idea of both, but especially the body butter! 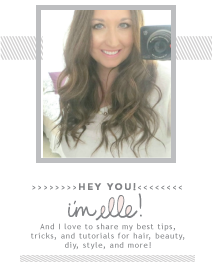 Totally pinning this to make (hopefully tomorrow)! These both sound amazing, I love pumpkin stuff! And how cute it is in the star bucks cup! I love how you added the body butter on top! I was freaking out when I saw this on Instagram this morning, it is seriously the cutest thing ever! I am still shocked that you made it. What a wonderful gift! This is so ridiculously cute!!! This PSL scrub sounds AMAZING!! Thank you so much for sharing and I'll definitely have to make it for myself because I love everything pumpkin! I swear u are the queen of all things... Love this Elle!!! Yaass to this! 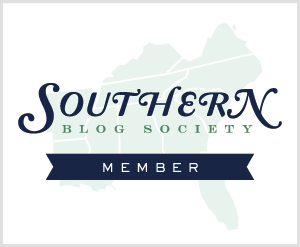 You have the best diy scrubs! 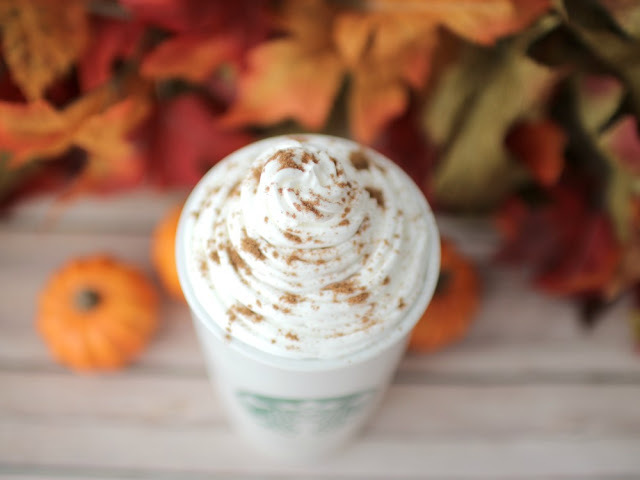 This Pumpkin Latte cream looks like the real one - I mean, it's real, but you know what I mean - I am so impressed! I would like to make some to give as gifts! I am crazy for pumpkins, they are so delicious, so I a sure that a product for the body is great as well! Your the queen of body DIY. I love the smell of pumpkin spice. I have plug in all over my house with PS in it. Have a great week. Okay, I'm not a pumpkin or PSL fan, but this is way too cute. I love how it turned out! This is SO cute and does look like the real deal! I just tried the other flavor, the chile mocha latte today and whew! Lots of spices! 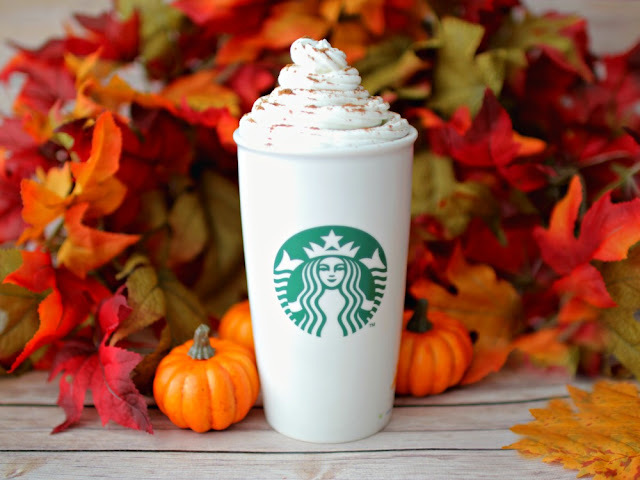 It was good, but I love the PSL more! I've never ever tasted at PSL but that looks so good - I would defo drink it haha!! I'm still so impressed with everything you do!! I love Pumpkin Spice Latte when Fall hits! I have to try these DIY's! Thanks for sharing Elle!! It does look good enough to eat! Such a cute idea and it makes such a cute gift. This is the cutest DIY I have ever seen! 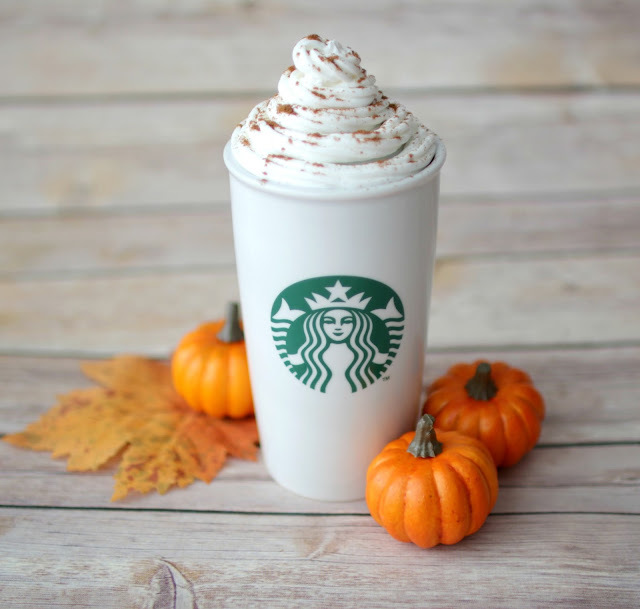 Can even eat it lol :D Now I am craving for pumpkin spice latte!! Love love love the photos, Elle! Too cute!